Today, January 5, 2010, will be a big day in the history of mobile technology. A huge day. 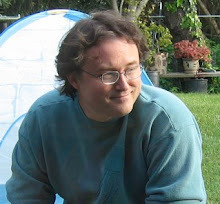 Any tech news site worthy of your attention should devote many resources to the events of today. I am, of course, referring to the impending Newtpocalypse. 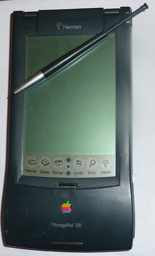 The Apple Newton was a groundbreaking device. The picture accompanying this post is my much-beloved Newton MP120. NewtonScript tracks time intervals using a 30 bit signed integer, with an epoch of 1993. 229 bits from 1993 is January 5, 2010, at 6:48:31 pm. Tonight. When the NetwonScript time overflows into bit 30 it becomes a negative number, and Bad Things Happen. Fixes have been developed, but only for the later model Newtons. My beloved MP120 will stop working tonight. Sniff. Of course, it hasn't been charged since 1999 so its effective behavior will be unchanged. PS: in addition to being the Newtpocalypse, I think Google has some kind of announcement today relating to mobile tech.